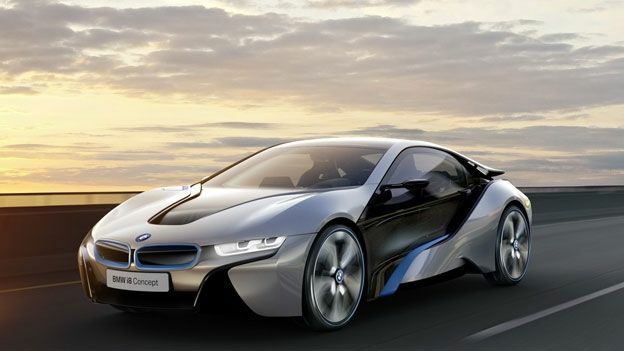 BMW i9 planned for 2016 launch? BMW could be working on a new i9 hybrid car ready to launch in 1916, the year the German car manufacturer hits 100 years. The BMW i8 might have only just launched, but rumours have already appeared that the German car company is planning a new hybrid motor, tentatively called the i9, that will launch in 2016. It's a specific date for BMW as the company will be celebrating 100 years in business after forming in Munich in 1916. The rumours, appearing on German car site Auto Motor, suggest the i9 will be similar to 2014's i8, but with more aggressive styling. Considering the pretty insane styling of the i8, we're intrigued to know what this could mean. Other rumorued specs include a limited top speed of 155mph and 0-62mph in under four seconds. While the report suggests that the new i9 will get more power, 155mph is the top speed of the current i8 - so we'd like to think that in two years this has been pushed further. There's not much more to go on than that, but if we hear anything more we'll keep you updated.